Spring is a perfect time to create an outdoor play area for kids. 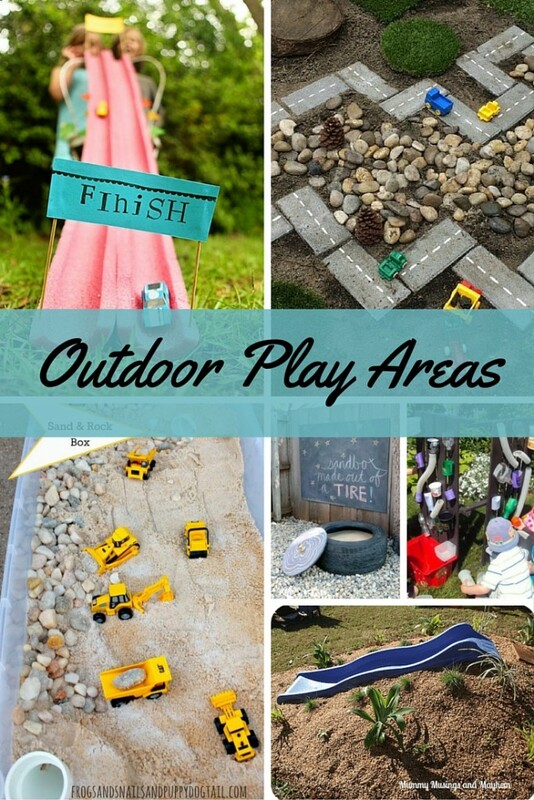 My kids love to get outside and play. I prefer them to be outside playing, then in front of the TV. 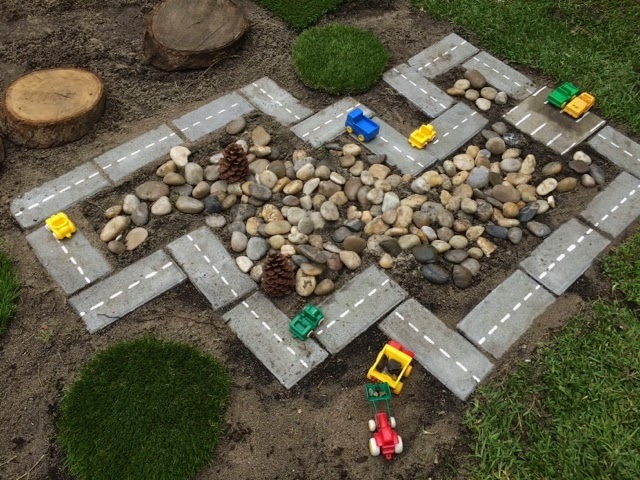 Outdoor car track – This outdoor racetrack can grow with your kiddos! 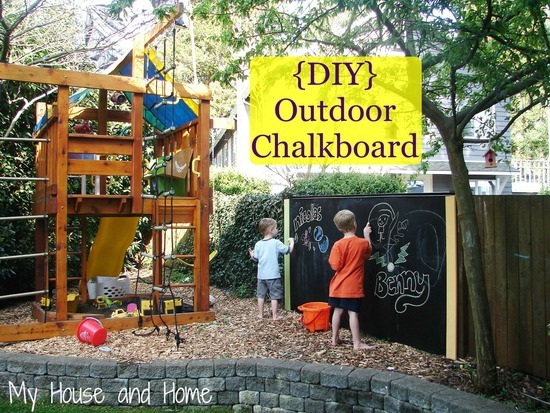 Outdoor chalkboard – Who said chalkboards have to be inside! 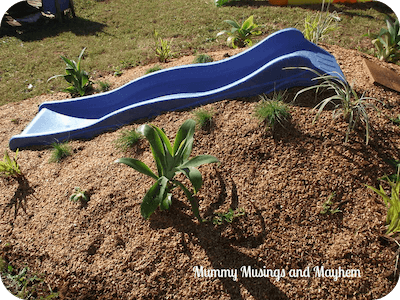 Building a mound slide – Here is an alternative to big play ground equipment in your yard. 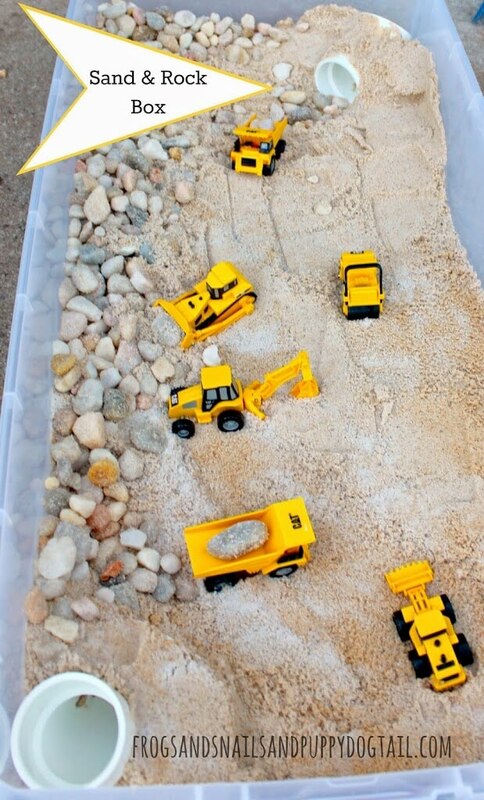 Sand and rock box – Here is a quick and easy sandbox! 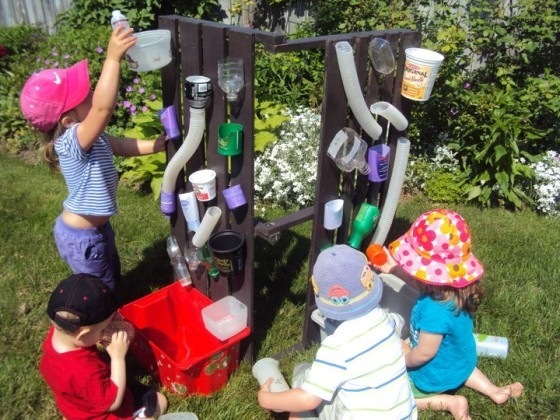 DIY water wall – Kids love playing in water. 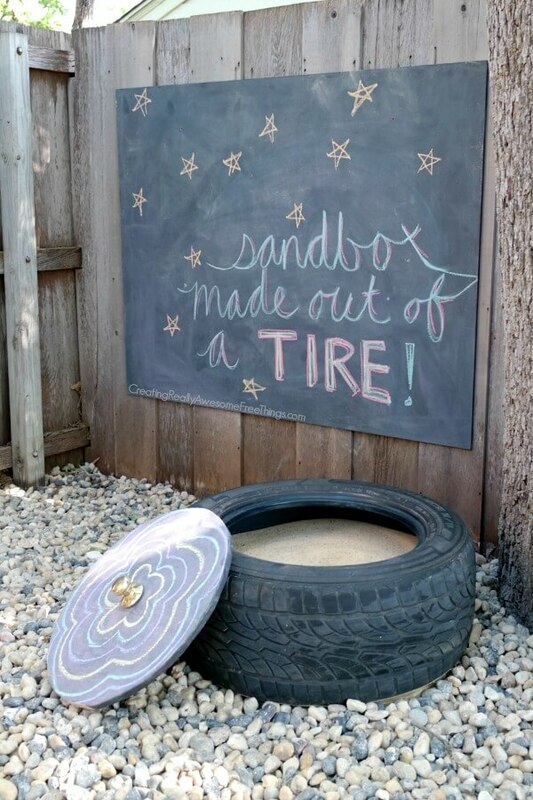 Easy sandbox with cover – If you prefer a sandbox with a cover, check out this post. 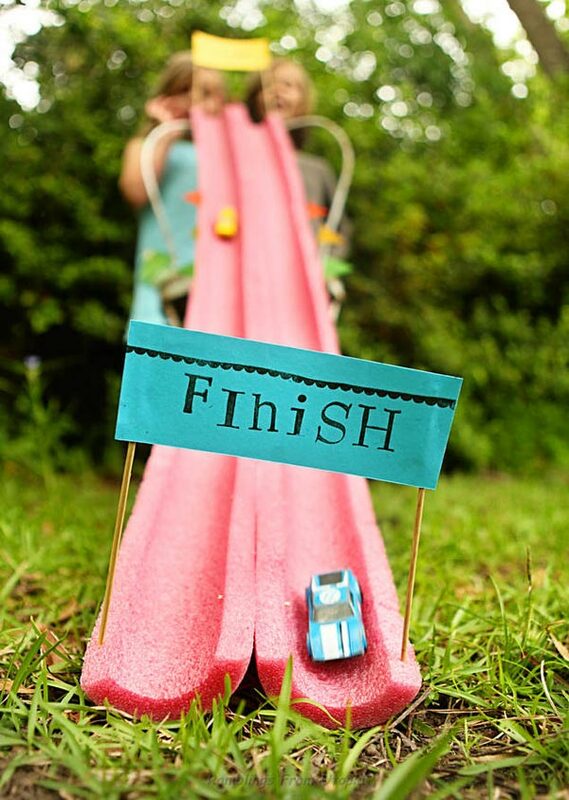 More great DIY race track ideas you children will love!